Getting something right the second time around can be notoriously difficult. When your first album, film or TV show is so good there’s an immense pressure to produce something that’s just as good but still something new so that you’re providing your fans with a different experience that’s in the same vein. True Detective might just be the quintessential example of a TV show that’s fallen victim of the second season syndrome. Following on from the gripping and phenomenally intense drama that Rust & Marty’s story in the first season gave us was always going to be tough, but with a fantastic writer in Nic Pizzolatto and a great cast of A-list actors hopes were high that Season 2 would be able to pull it off. But what followed was a change to the formula that was subtle in some ways but just enough to throw off the recipe and make the end product that bit worse. It was always a slow-moving show, and it had to be considering it followed a single case per season, but the first half of True Detective season 2 was not only slow but almost incoherent. With a doubling of the main characters, four instead of two, there was far more of the background to tell and far more individual threads being woven into the narrative. While this could have worked brilliantly if it was done just that bit quicker, because so much time was devoted to inching these stories along step by step – it meant that the real excitement of the show didn’t kick in until late on (when many might have stopped watching). While the cast was great, none of them really played up to their strengths too much – with a sort of subdued performance apparently being the director’s goal rather than anything that gets the heart racing. Vince Vaughn never looked quite in place as the gangster Frank Semyon, and the tough guy lines coming from a comedian were cringeworthy at times. Paul Woodrugh (played by Taylor Kitsch) was an exceptionally bland character until near the end of the season, when he summoned an inner courage to fight for what he believed in against personal struggles. Colin Farrell and Rachel McAdams were both good as the male and female leads but while you could empathise with them a bit they always seemed slightly cold, which made it harder to really care for them and even harder to buy into the relationship that was forced between them as the season wore on. The last few episodes definitely stepped up the action, and did a reasonable job of demisting the vast haze around where the main plot was going, but it wasn’t quite enough to save it. Nothing approached the one-shot scene at the end of episode 4 of the first season, even though some of the gun fights and chases in this season were exciting in their own right. It delivered on action, in the end, but with such a mess of a story it didn’t in terms of plot. The show was probably summed up by the 90 minute finale best of all. It starts off with expectations and hype but slowly fades in the middle before a late burst of action brings things to life. But in the end you’re left questioning the characters’ decisions and with little to show for it. 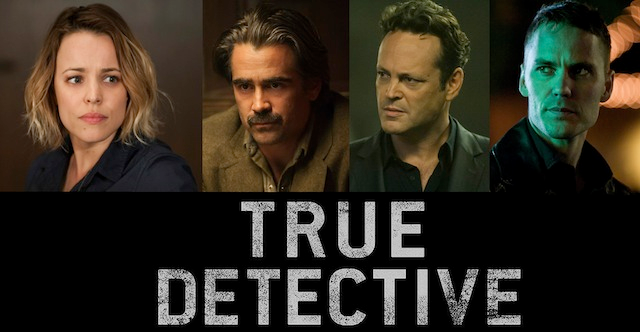 True Detective is a show with great potential, and an inevitable Season 3 would definitely be a show worth watching. But it’ll just have to return to its’ roots a little more to hit the high notes it did before.